New Delhi, July 19 (IANS) Love to gorge on beef jerky, salami, hot dogs and other processed meat as part of your evening snacks daily? 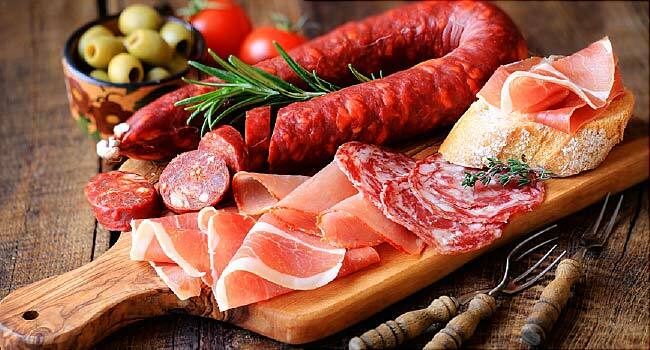 Beware, these processed meats laced with chemicals such as nitrates, to preserve them from spoilage, may contribute to mania — an abnormal mood state characterized by hyperactivity, euphoria and insomnia, a study has found. The findings showed that people hospitalised for an episode of mania had more than three times the odds of having ever eaten nitrate-cured meats than people without a history of a serious psychiatric disorder. “We looked at a number of different dietary exposures and cured meat really stood out. It wasn’t just that people with mania have an abnormal diet,” said lead author Robert Yolken, Professor at the Johns Hopkins University in the US. Further, in experiments on rats, those who received the jerky showed irregular sleeping patterns and hyperactivity similar to that seen in patients with mania — increased activity during normal sleep times and in new environments. However, when the animals were fed on nitrate-free meat, they behaved similarly to a control group. “It’s clear that mania is a complex neuropsychiatric state, and that both genetic vulnerabilities and environmental factors are likely involved in the emergence and severity of bipolar disorder and associated maniac episodes,” explained Seva Khambadkone, doctoral student at the varsity. “Our results suggest that nitrated cured meat could be one environmental player in mediating mania,” Khambadkone added. Moreover, the animals with nitrate in their diet had different patterns of bacteria living in their intestines than the other rats and had differences in several molecular pathways in the brain that have been previously implicated in bipolar disorder. “Future work on this association could lead to dietary interventions to help reduce the risk of maniac episodes in those who have bipolar disorder or who are otherwise vulnerable to mania,” Yolken said.